It was a beautiful, sunny, somewhat muggy August morning. We decide to go pick some delicious peaches to make the perfect cobbler. Our last grasp at summer … CRUSHED. At Erie Orchards the winter hit so hard not enough peaches came in for u-pick… buuuuut, some Pink Lady and Macintosh apples were available. 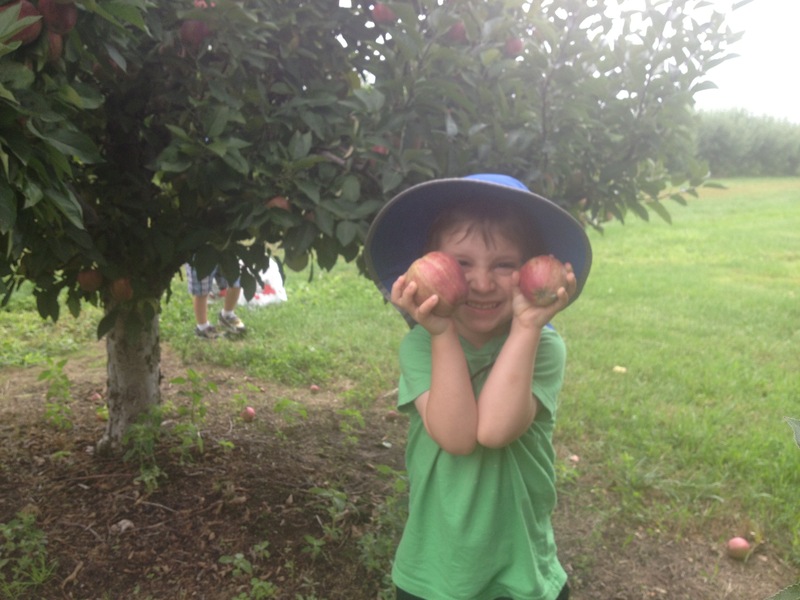 We have on our sun hats, sunscreen and we are sweating… Picking apples… It was surreal. That didn’t stop us from picking a BUSHEL!! We filled four HUGE bowls and placed them in the sunniest window in the house because they were a little green inside AND out! What’s YOUR favorite apple recipe? 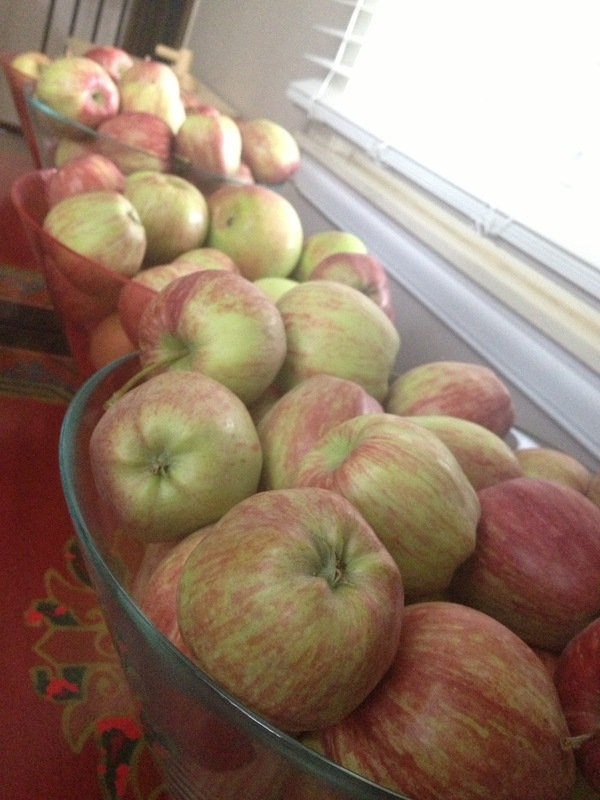 This entry was posted in To do in Metro Detroit and tagged apples, family, kids, u-pick, weekend fun. Bookmark the permalink.